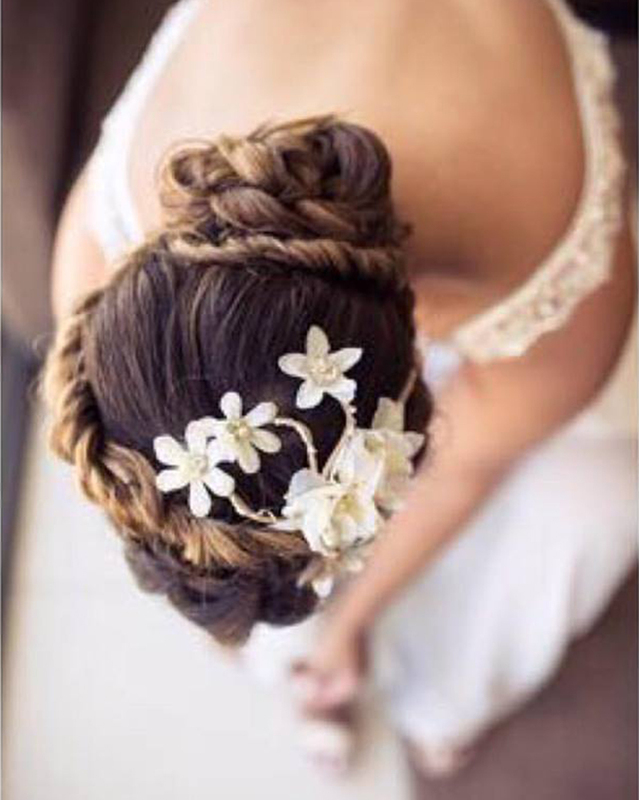 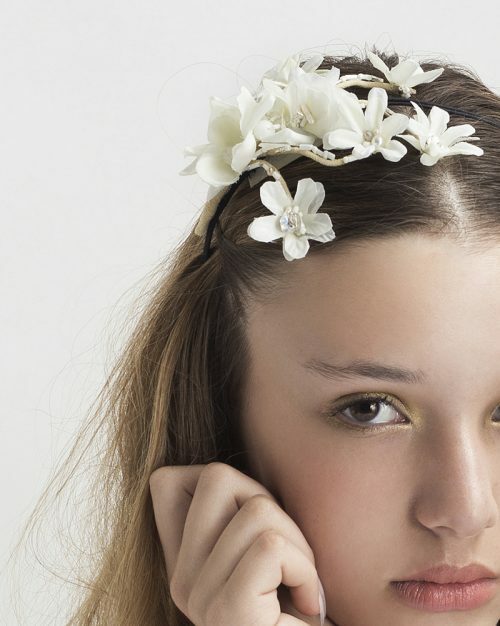 A floral mini scatter of blooming silk flowers adorning the right side of the head. 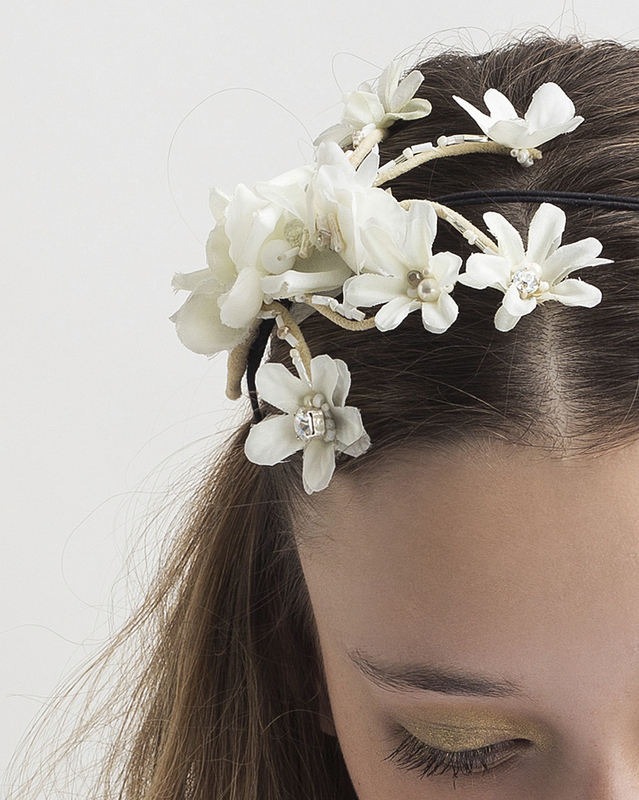 The blossoming mini flowers are decorating small twigs, that gently spread, creating a natural elegant look. 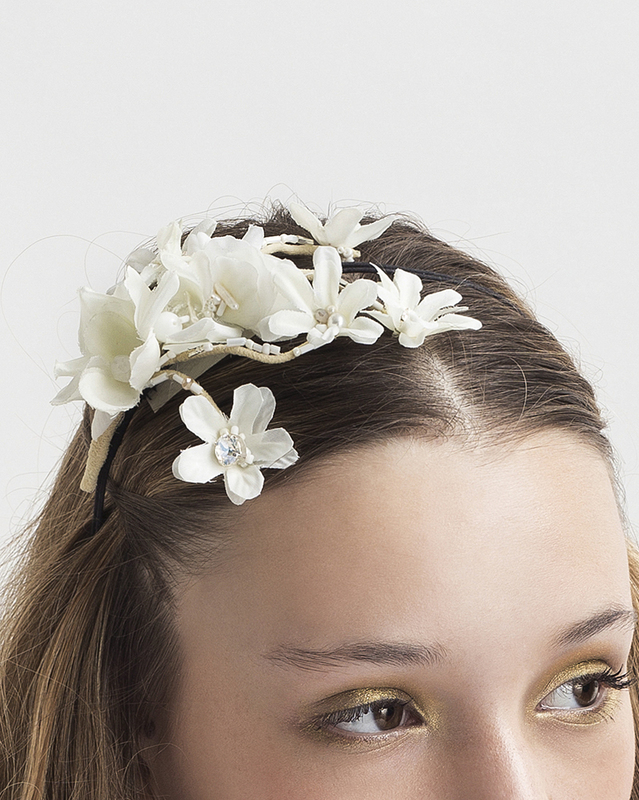 The headpiece is all hand embroidered using silk, beads, pearls, Swarovski stones and semiprecious stones. Creates a delicate floral look. 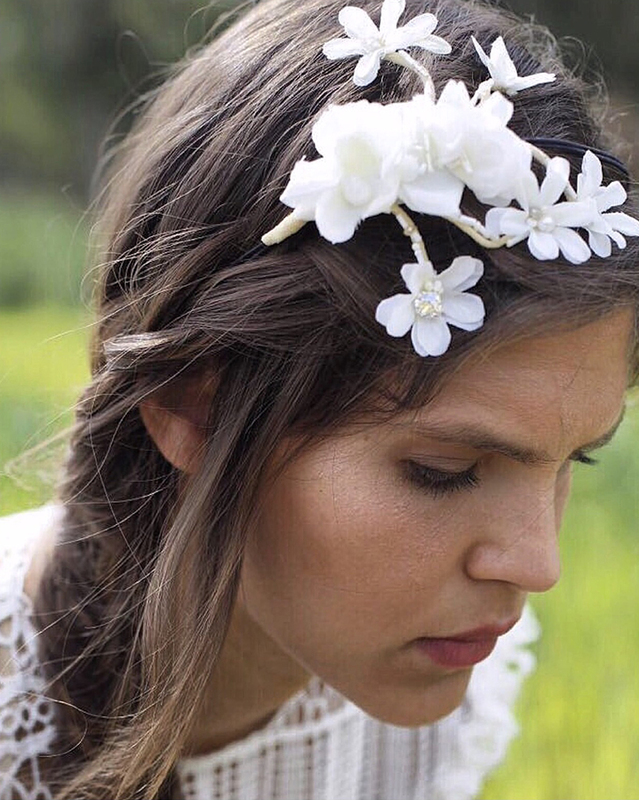 perfect for a cocktail style event or a boho-resort atmosphere. Ready for shipping within 2 weeks of purchase.